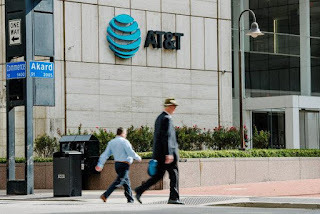 Aside from the major monetary policy meetings this week - courtesy of the US Federal Reserve, the Bank of Japan and the European Central Bank - a US court is expected to rule on Tuesday on the Department of Justice's attempt to block AT&T’s merger with Time Warner. During his presidential campaign, Donald Trump objected to the deal and last year the DoJ filed a lawsuit to block the $85.4bn combination. A ruling is expected tomorrow following a six week trial during which the DoJ argued that a merger between the telecoms giant and the the owner of CNN and HBO would give the enlarged company the power to raise prices for consumers. Shares in AT&T are up 1.18% at $34.22 while Time Warner's stock is up 0.8% at $96.11.